This effect is especially incredible with the Freesia. The vintage coloured dyes continuously lighten within the bloom as the blooms further along the stem begin to open. 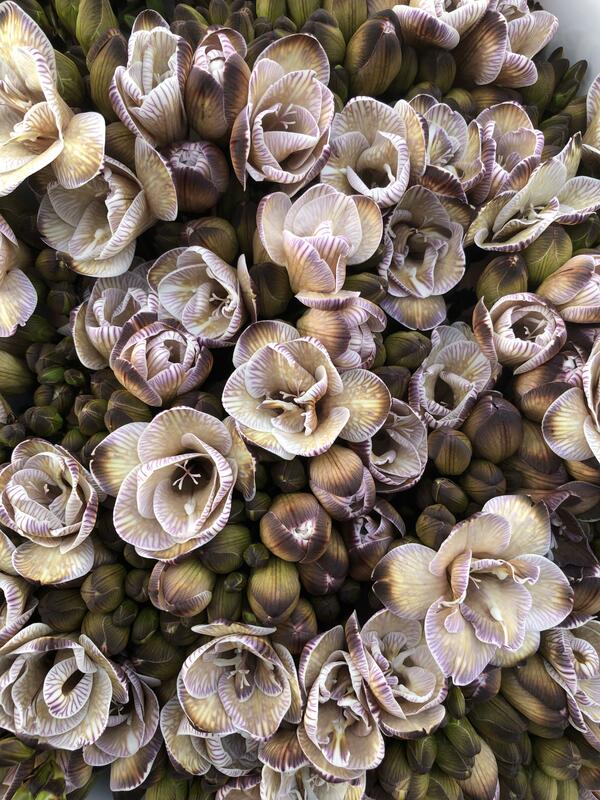 You can see in the images below that the first and largest bloom also expresses the most intensity in tint, as the neighbouring blossoms open they will gradually lighten in tint and become creamier in colour.